Smoked meats are a serious business in New York. Truly, I’ve never seen or been to so many barbecue joints, where brisket, short ribs, pulled pork and the like feature so heavily on the menu. It’s been and continues to be a fun and unique food experience for Nick and I, eating our way around the city from BBQ joint to BBQ joint. Our super indulgent eating, while not great for the waistline, has meant that we’ve become somewhat bonafide barbecue experts (or so I’d like to believe). 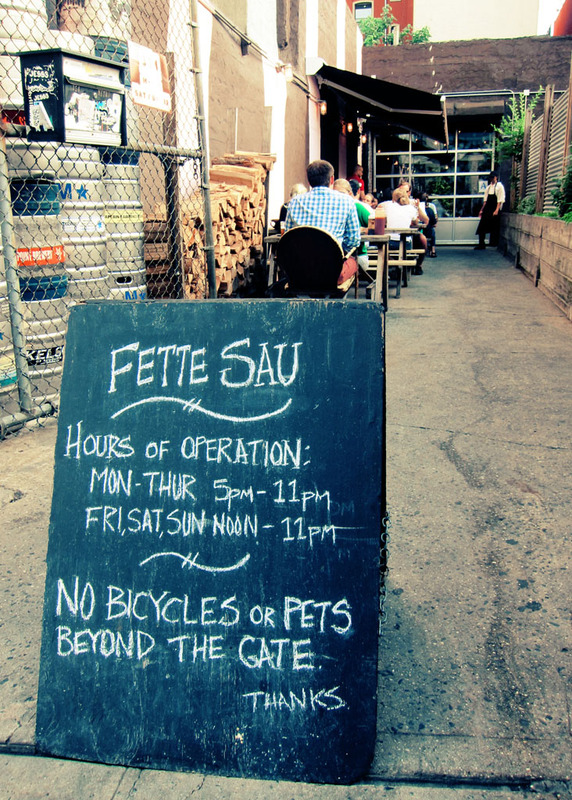 And therefore I think it’s safe to say, that Fette Sau in Williamsburg is the best of best. It is also the place that we always seem to take visiting friends to, as it almost certainly guarantees a fun and casual night out, an unforgettable BBQ experience, and some of the best tasting smoked meat in town. But don’t just take my word for it. 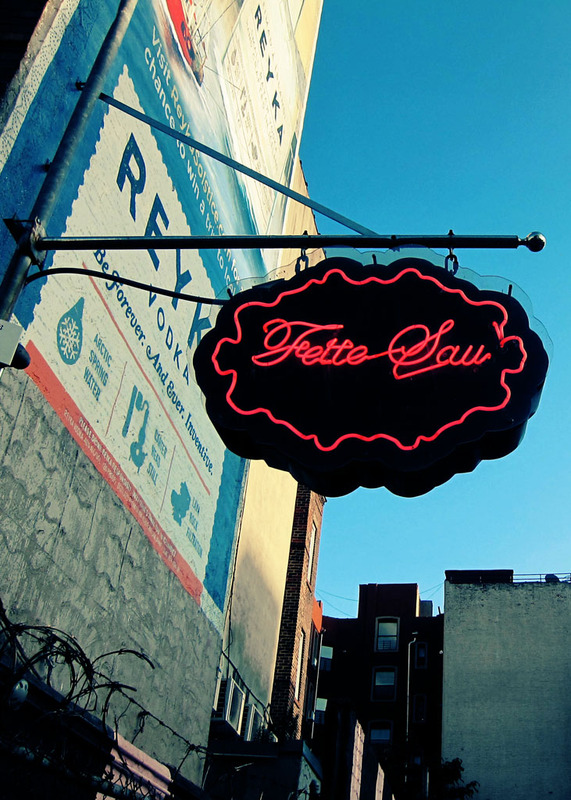 Fette Sau frequently ranks as one of the top 10 BBQ places in New York and more often then not tops the list at number one. “Why?” I hear you ask. Because of it’s consistently tender, moist and flavoursome meat, that’s why. Juicy pork belly, smoky brisket, tasty sausage links, delicious pulled pork. I could go on. The sides need mentioning too. My favourites are the homemade baked beans and sweet potato mash. Who am I kidding? I love them all! There’s also the mac & cheese, broccoli salad, coleslaw and potato salad. Take my advice, it’s best to turn up hungry and best to share. What? Yes. Share. So you can taste more varieties of meat. Ordering is cafeteria style, where you chose your meats by the pound at the counter. The food then comes piled high on a large tray. Seating is around large wooden communal tables that can be found both inside and out. 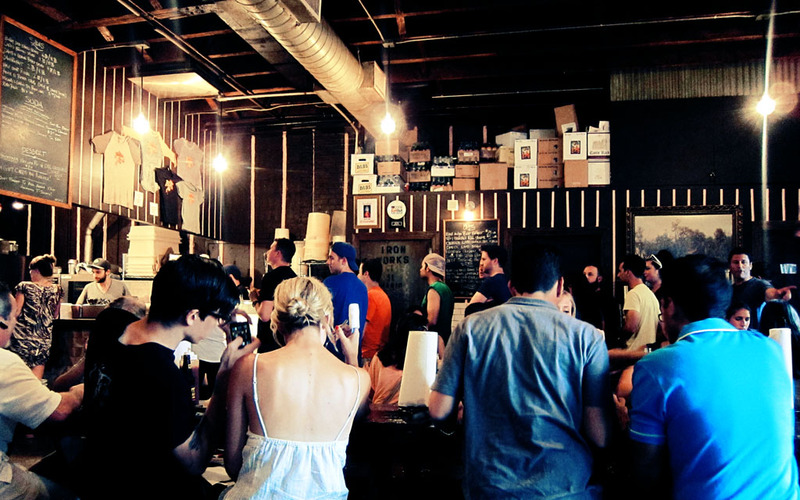 Typically, long lines form at the weekend when Williamsburg locals and those in need of a BBQ fix turn up. But remember while there may be a wait to get to the counter, the food once ordered is handed over straight away. Seating can at times be tough to find, but stick it out, I promise you won’t be disappointed. Enjoy and prepare to feast! 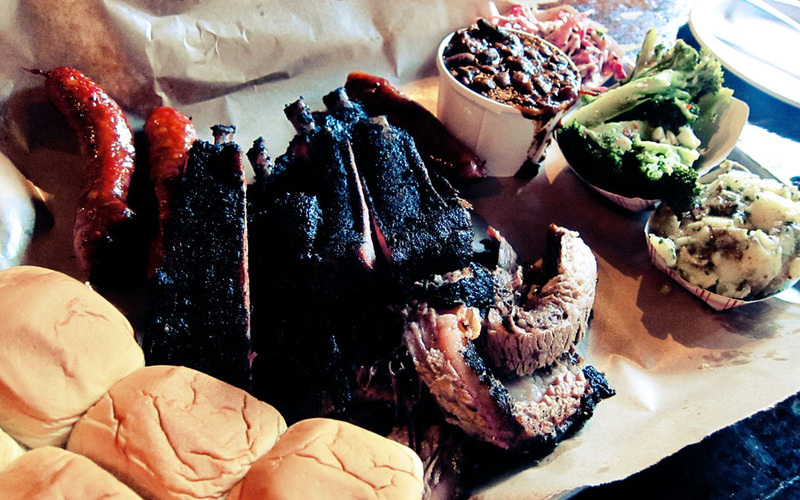 Have you been to Delaney Barbecue in Williamsburg? They have good stuff worth trying. No I haven't. Onto the list it goes! Fette Sau does not accept reservations.